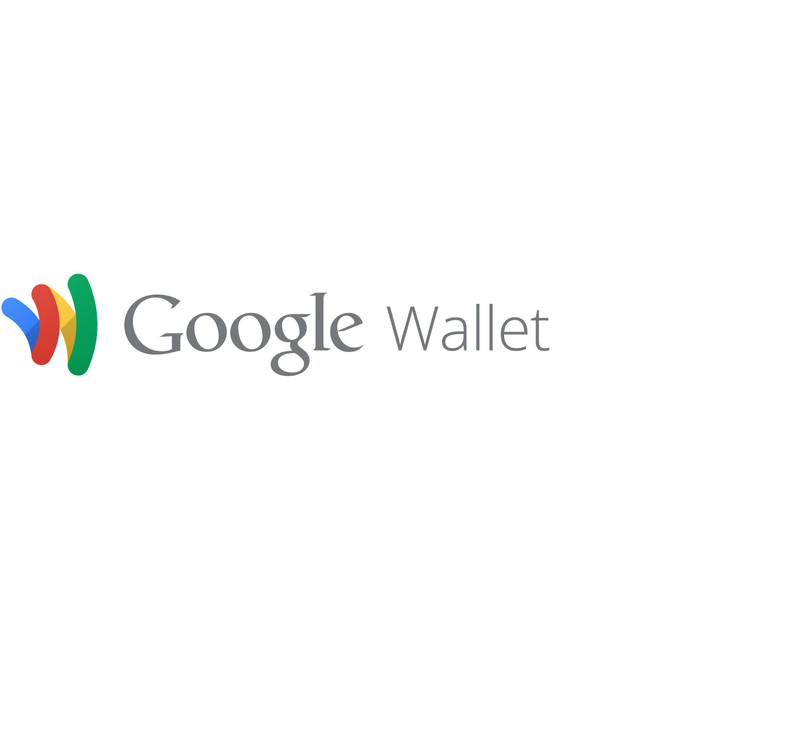 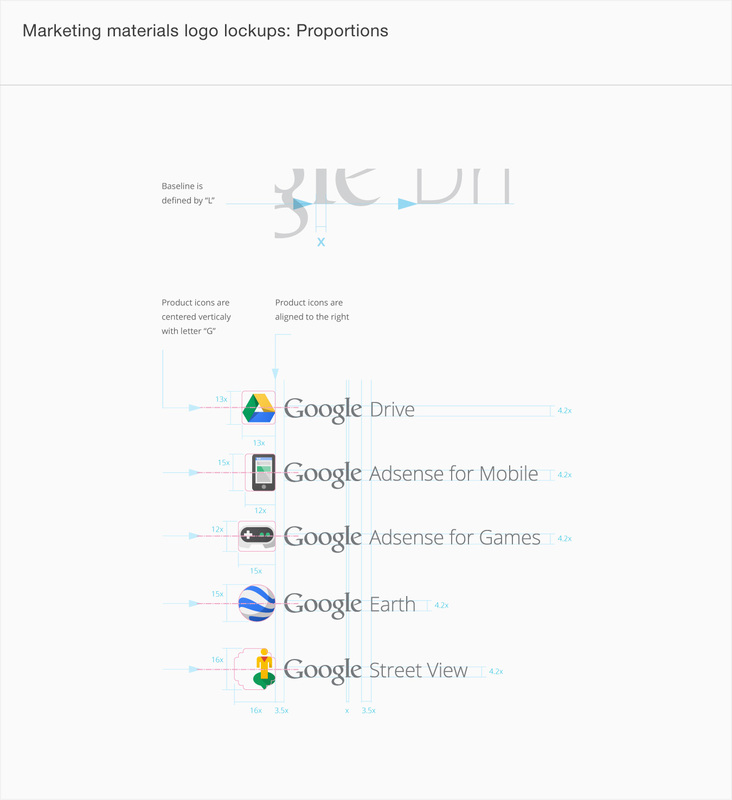 Google’s brand is shaped in many ways; one of which is through maintaining the visual coherence of our visual assets. 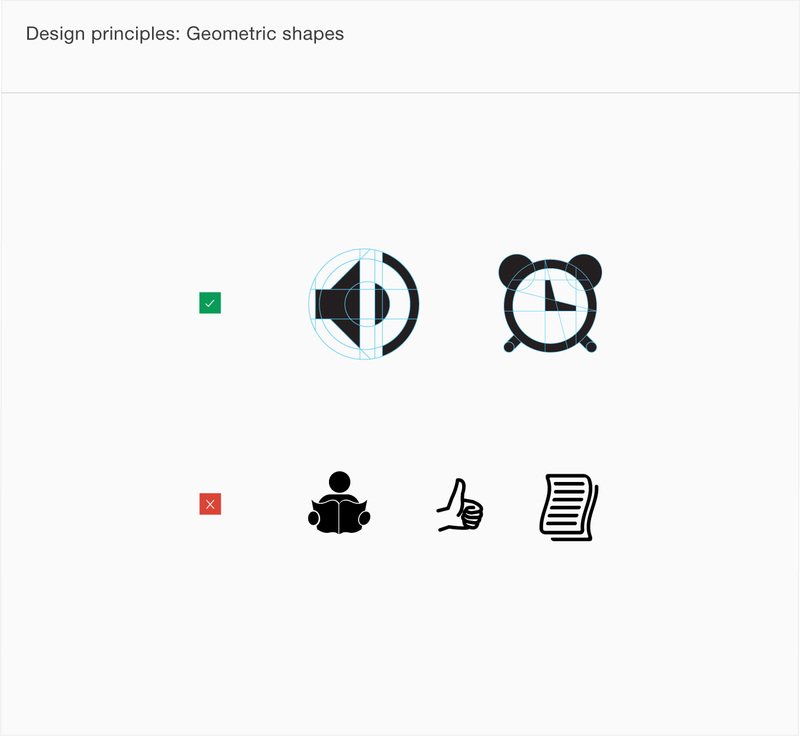 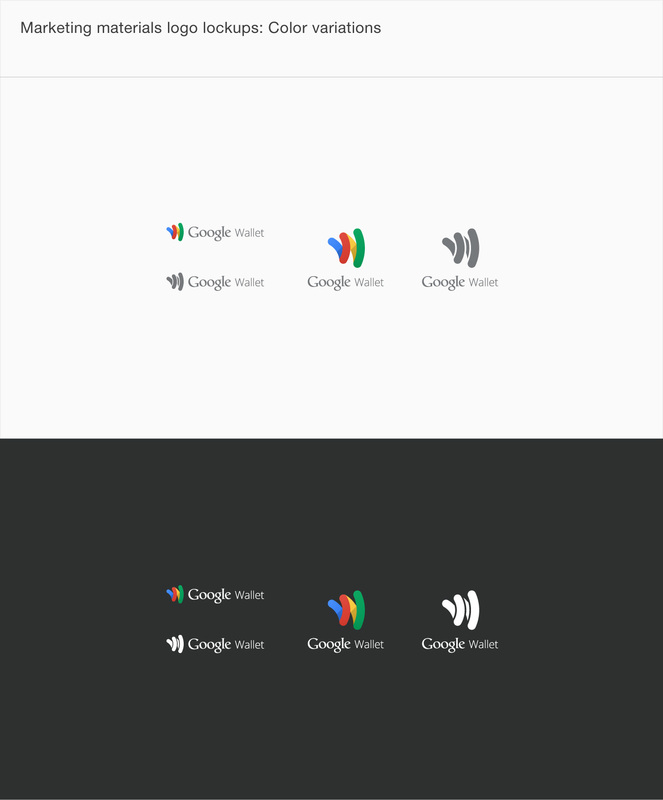 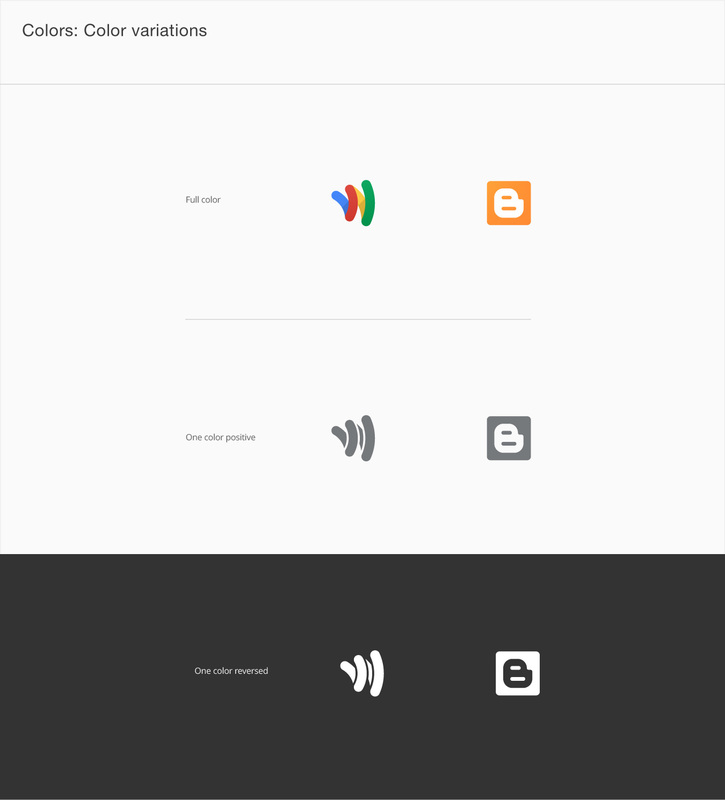 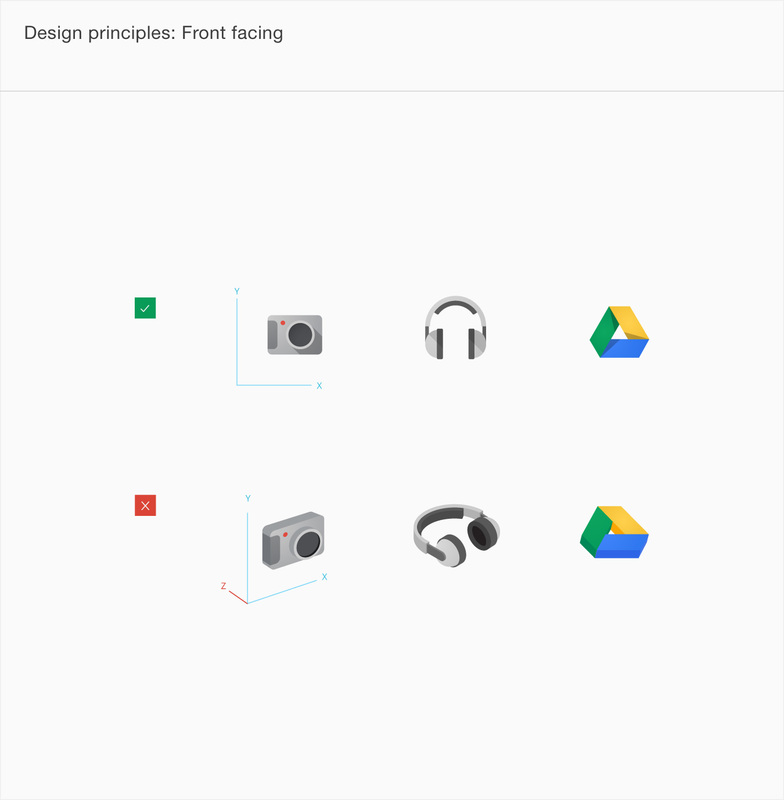 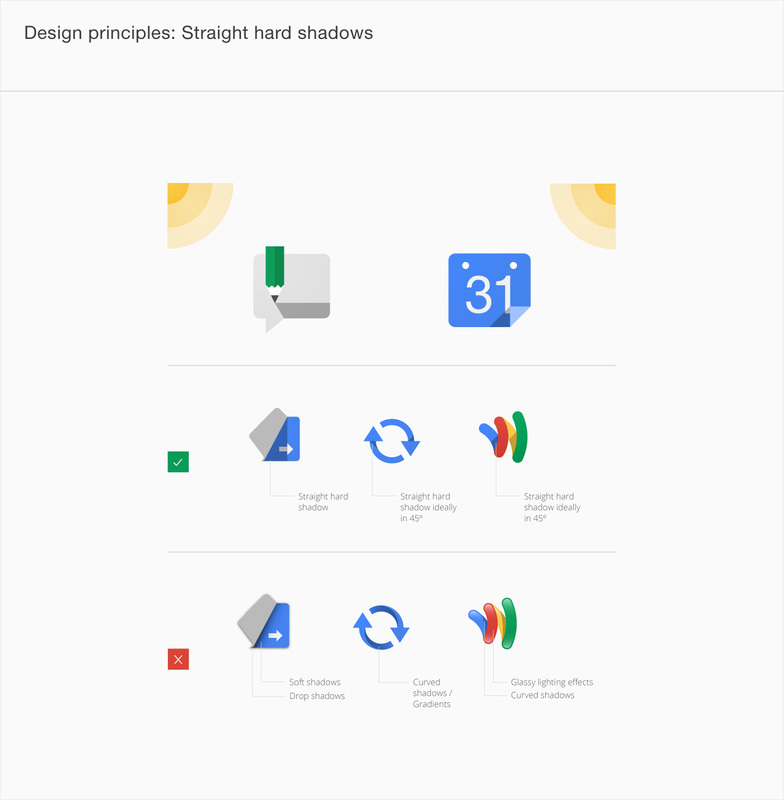 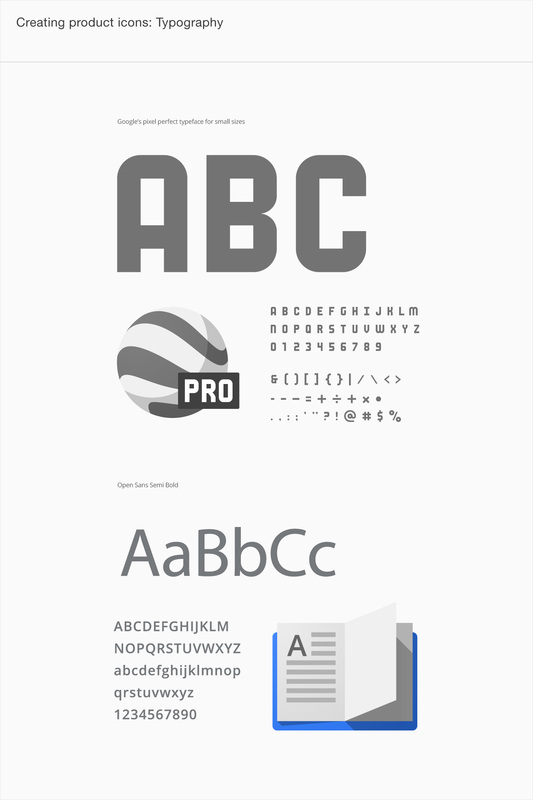 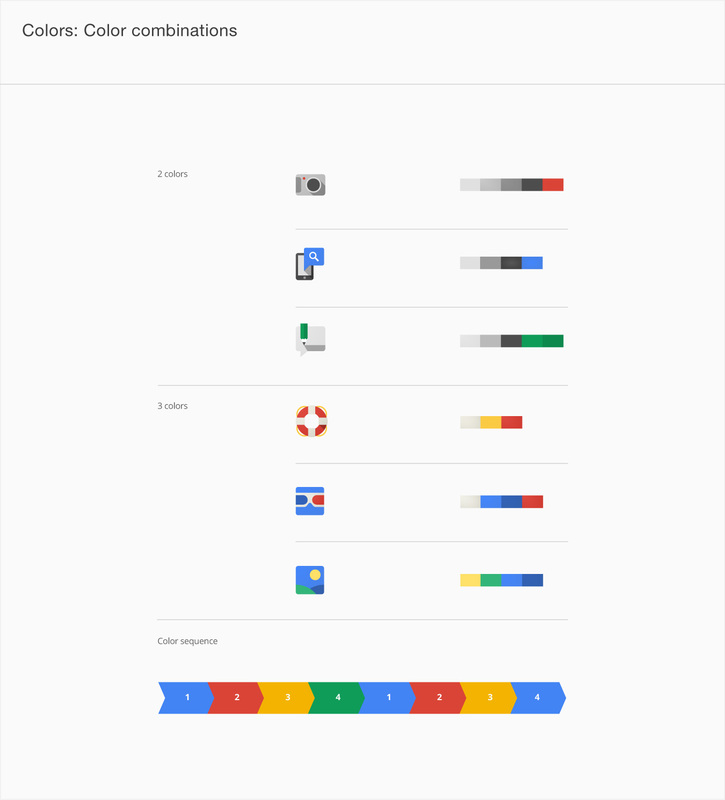 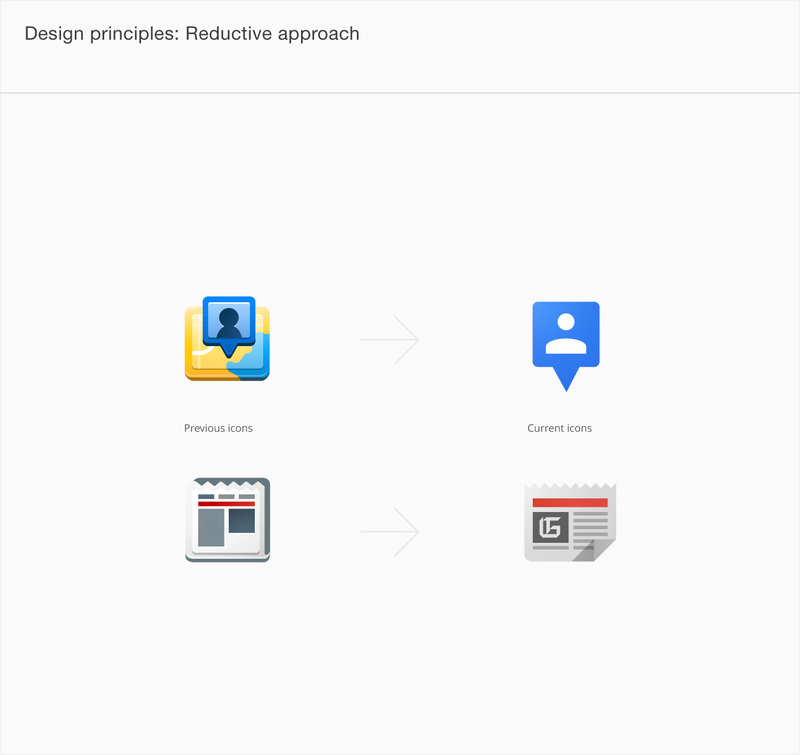 In January 2012, expanding on the new iconography style started by Creative Lab, we began creating this solid, yet flexible, set of guidelines that have been helping Google’s designers and vendors to produce high quality work that helps strengthen Google’s identity. 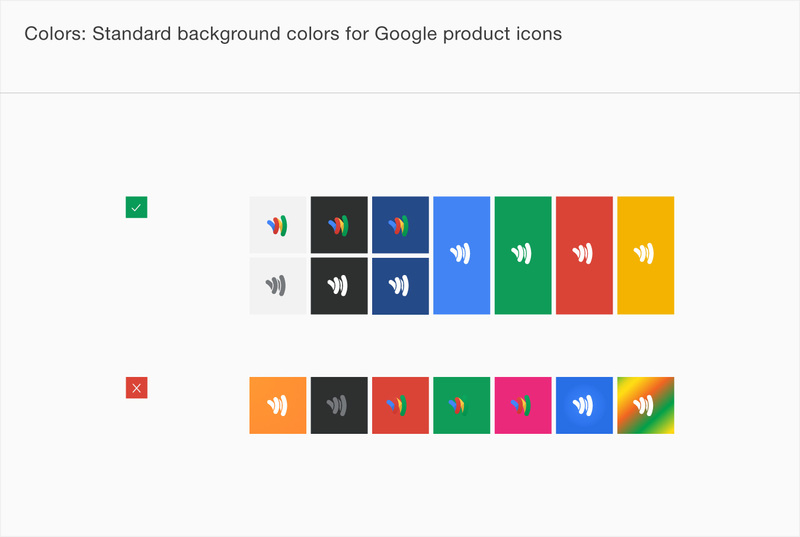 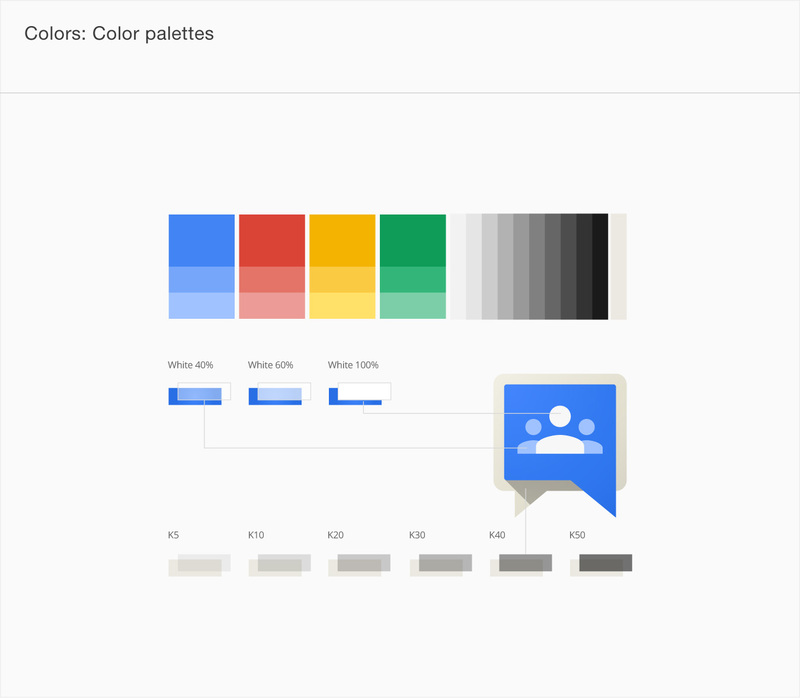 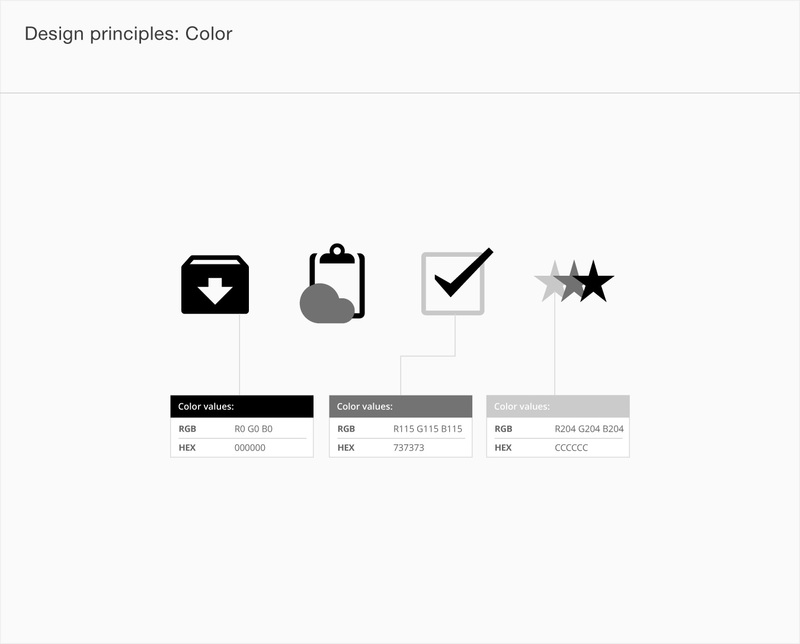 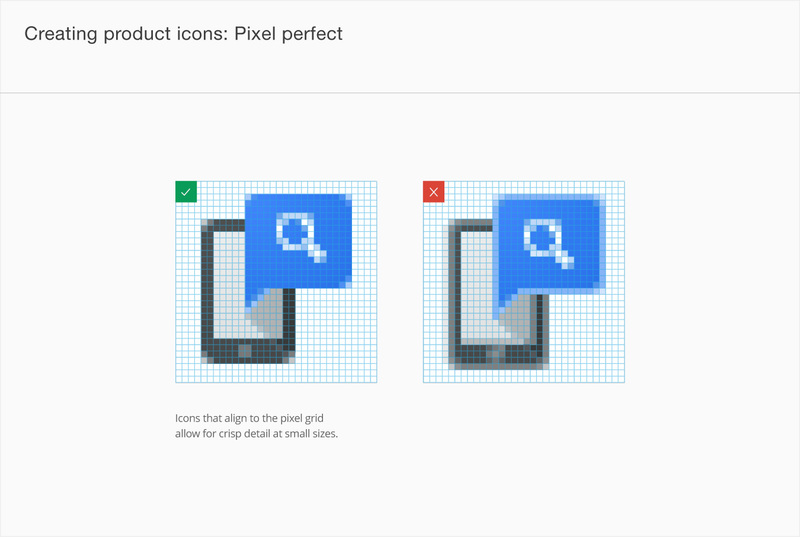 A product icon is the unique and memorable visual representation of a Google product. 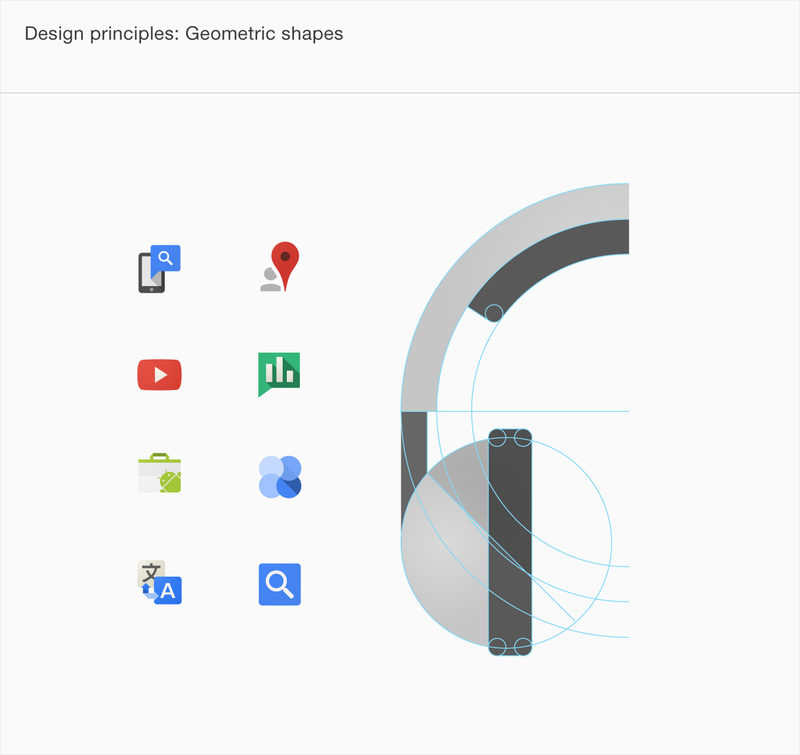 They are simple, modern, friendly, and sometimes quirky. 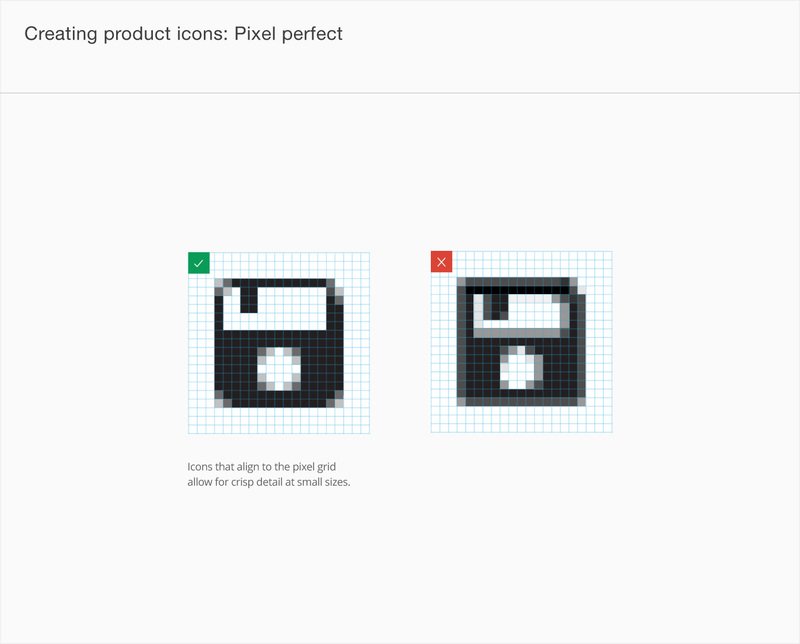 Product icons are highly simplified, exaggerated, and caricatured in nature so that they are appropriate for use at small sizes. 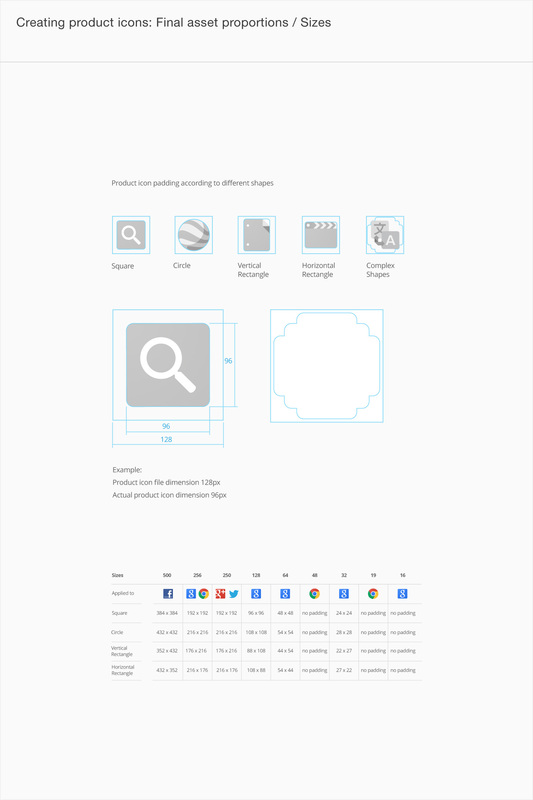 Some of our product icons are literal, but they can also be metaphorical, symbolically representing the features of a product. 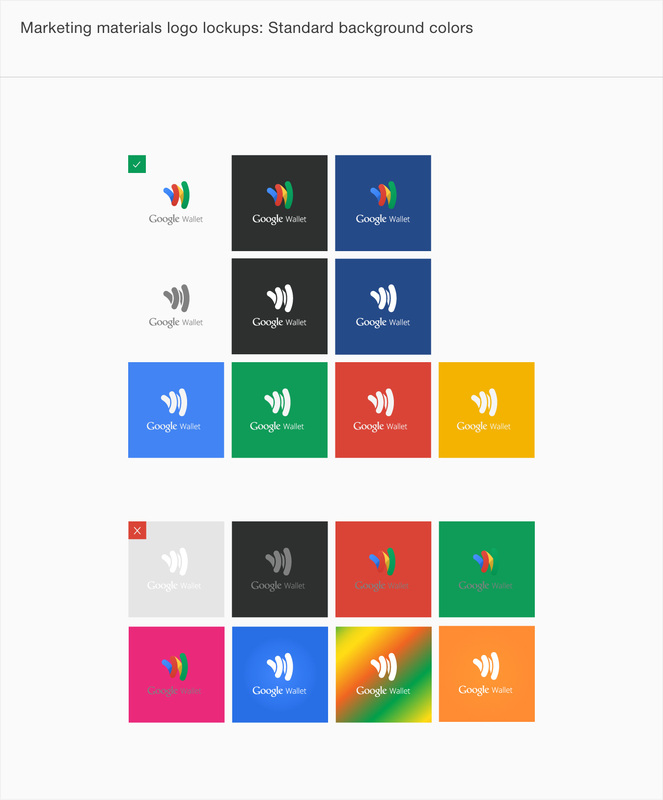 Logo lockups are usually formed by the combination of the product icon with its name or just by the name. 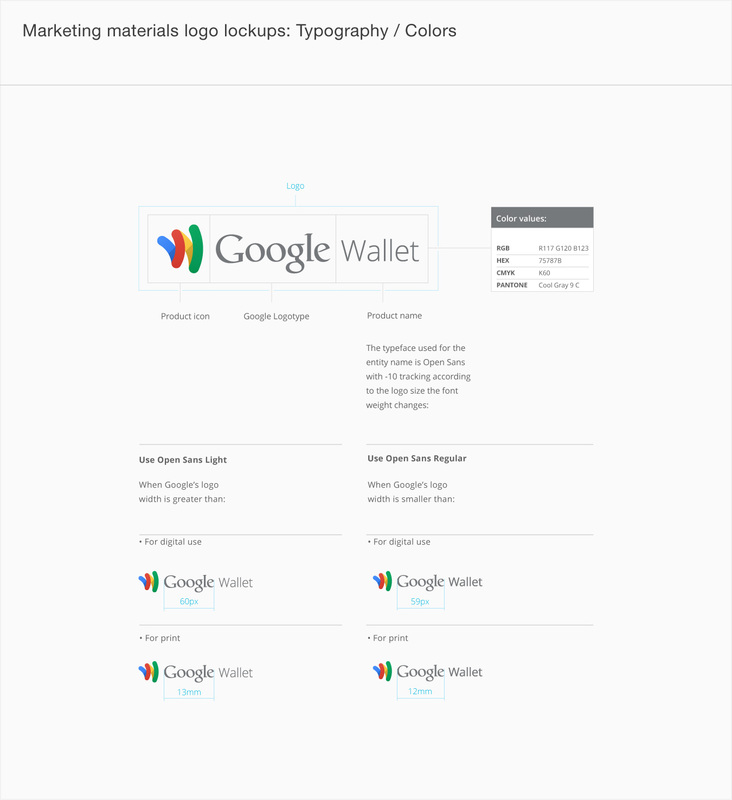 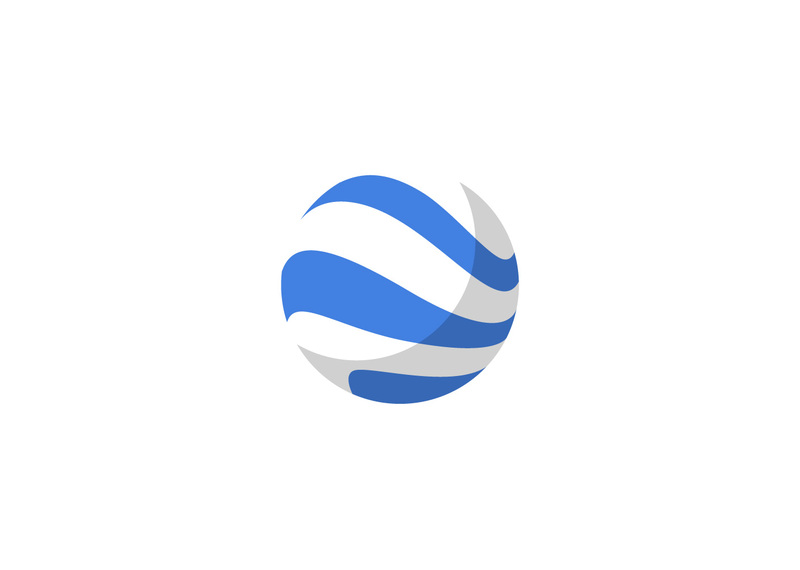 They are the brand ambassadors and are immediately recognizable. 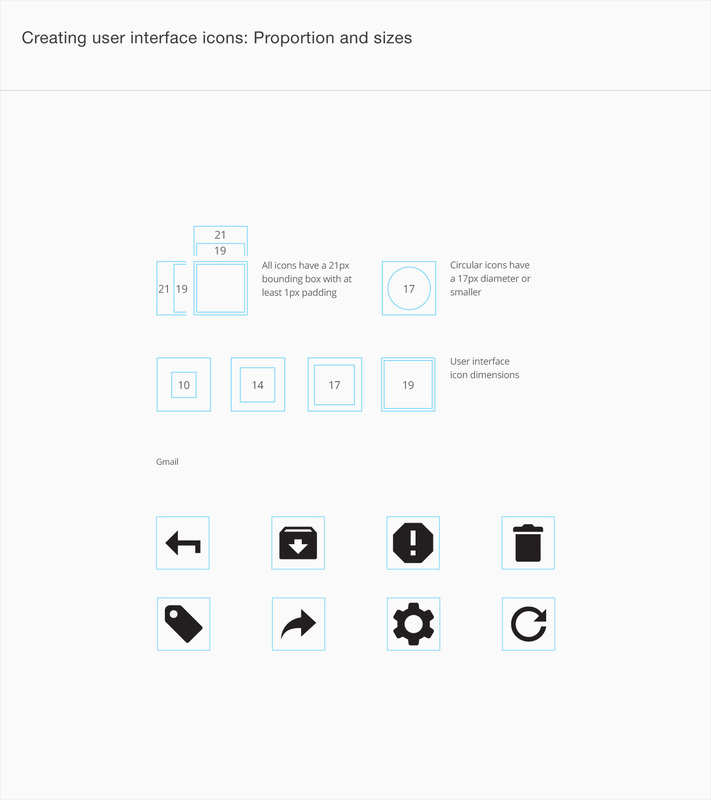 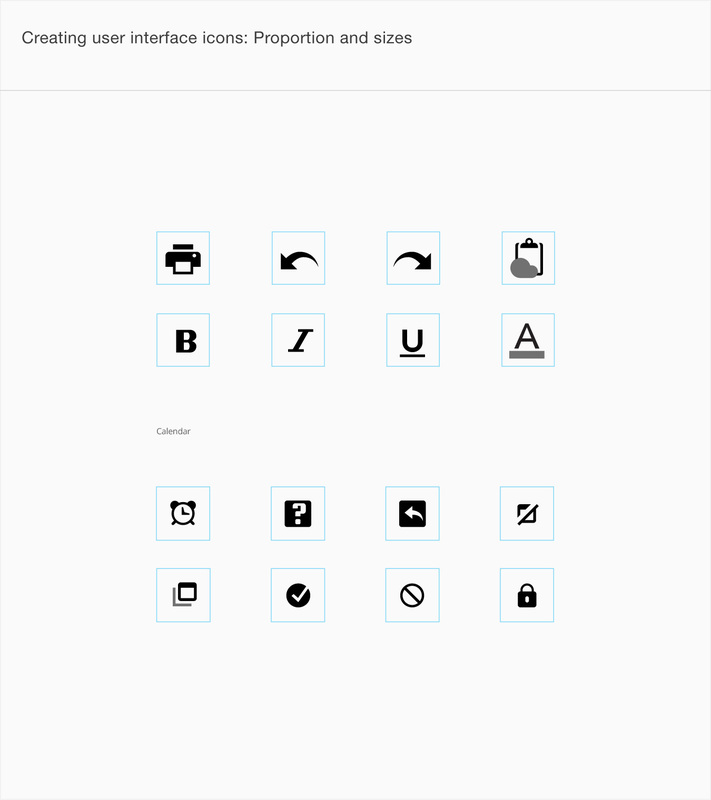 A user interface icon, or UI icon, symbolizes a command, file, device or directory. 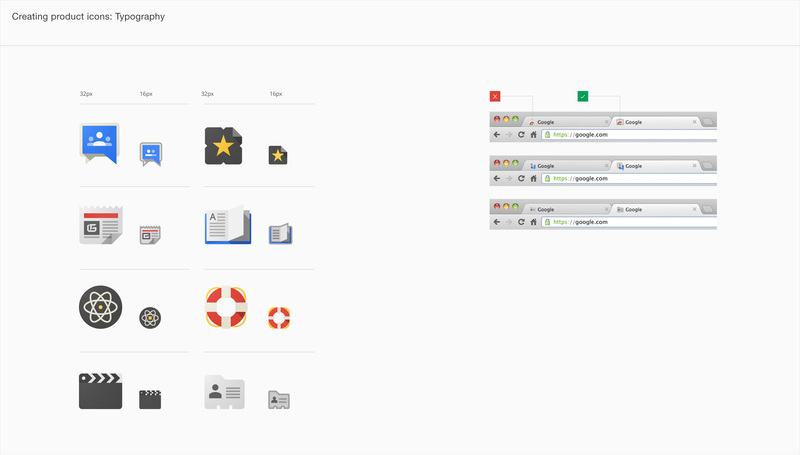 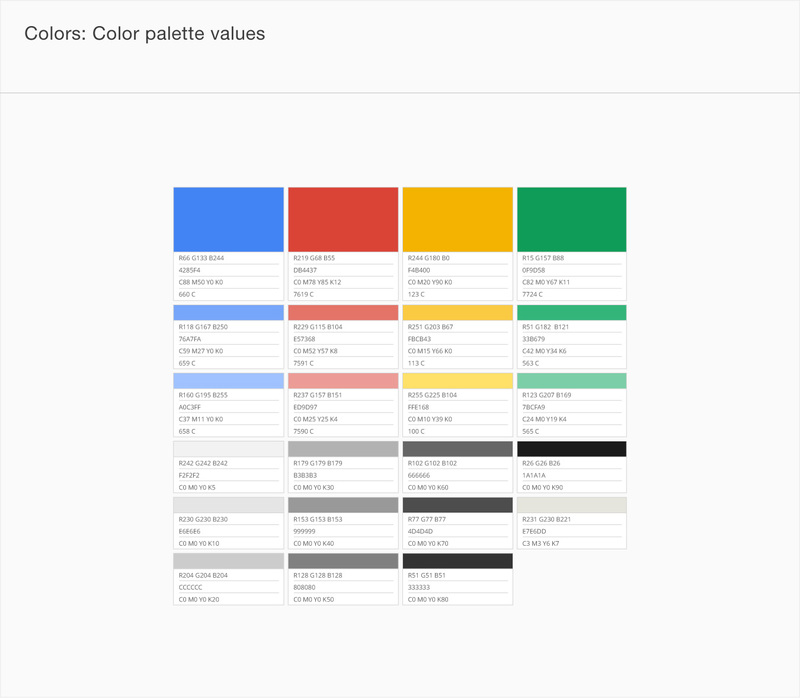 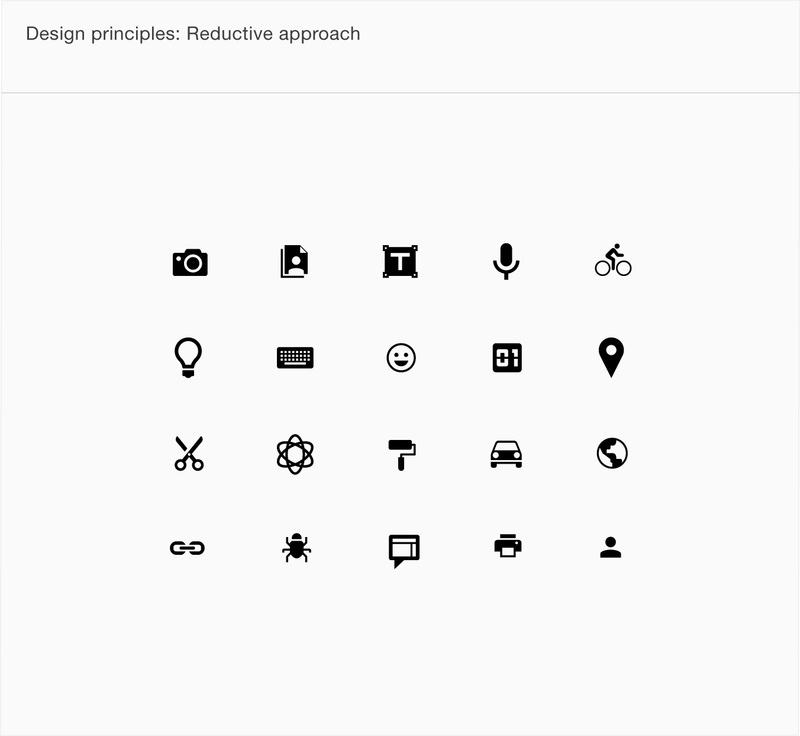 UI icons are also utilized across Google properties to represent actions like trash, print, and save, etc.